Are you pondering a trip to Bologna this summer? 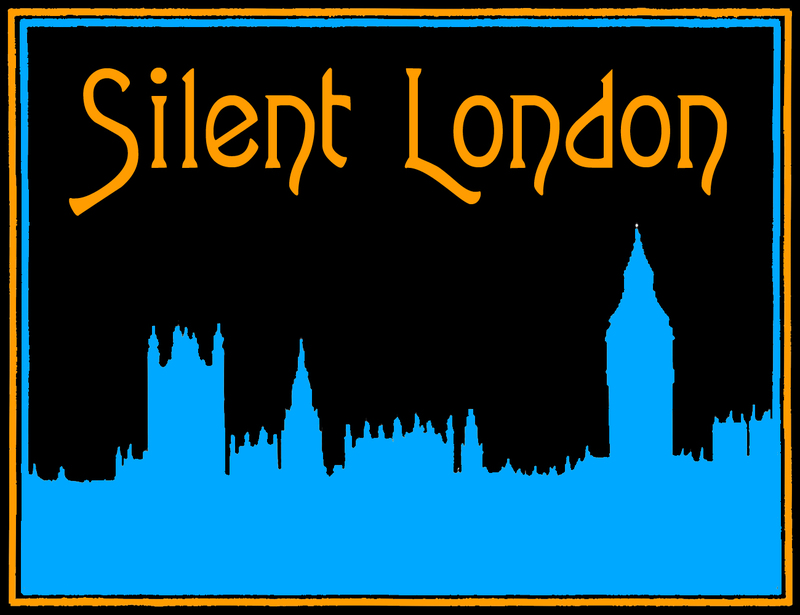 I know some Silent London readers are Ritrovato regulars, but for those who haven’t had the pleasure yet, here are some hints and tips for getting the most out of the festival (without breaking the bank). You’ll be able to book your ticket for the festival online, well in advance. There are various levels of pass, but the basic one, which is around €100 (half the price for concessions) gets you into all screenings, discounts around town and a catalogue and tote bag, so you are covered. You can also buy day and half-day passes for each individual cinema, but it’s fairly likely that you will consider the all-in pass better value if you are going for a few days and want to see a range of films. Of course, the indvidual passes may well work for you if you reckon you only want to see silents and you bank on most of them being in the Mastroianni (more of which later). The strands for the festival are generally announced, often drip-feed fashion, from April onwards. The first news for 2018 is here. Plenty to whet your whistle there – and as soon as the first strands are announced, tickets go on sale. The schedule will not be announced until very close to the festival date. Very close. It’s like Pordenone in that regard. So you can’t really plan your visit around seeing one individual film. Some people find this frustrating, but when you see the schedule, just imagine the complexity of putting together this jigsaw puzzle. Still, as soon as it is live on the site, you can get your highlighter out. More of which later, also. Travel to Bologna is very easy. Lots of airlines, including budget lines, go there and the airport is not very far from the city centre. This means that when you arrive you can jump on a quick bus into town, which will take you to the train station, fairly close to the heart of the Ritrovato action. A cab is fairly affordable too, especially if you are sharing. Some people take the train to the festival from the UK. This takes time, but makes it more of a holiday. I am told you basically get the Eurostar to France and then make your way to Italy from there. You can get a train from Paris to Verona, which is not so far away, and then push on to Bologna, but I suspect there are several different ways to do this depending on how long you want to take. Bologna is a tourist hotspot, so you are spoiled for choice when it comes to hotels. As long as you pick somewhere in the right area of the city, you will do just fine. There is a lot of love, almost a cultish devotion, for a large, budget-friendly institution called the Palace. It is well-located, rather grand in style and will be filled with Ritrovato attendees all week. I have never stayed there myself yet, but it is a very popular choice. A word to the wise: the air-con can be a bit hit-and-miss, but if you ask at reception they will provide you with an electric fan. And there’s always Airbnb – lots of tempting options in the city, but you may need to book early, which also goes for the hotels. I promised you great food and drink. Well Bologna is renowned for its cuisine. You can go high-end if you like, or get a very toothsome pizza for €7 in a lovely old-fashioned restaurant. There are far too many choices to name here, but there is one place in particular that is very handy for the Cineteca and thus very popular with festival types: Il Pirata del Porto, known among the Brits as “The Pirate”. A good option before your evening screening. Wash your meal down with a carafe of prosecco, follow it with a café espresso, and Roberto è tuo zio. If you’re on a strict budget, then the supermarkets such as Pam (great name) will do you proud with salads and sandwiches. There is a park (with a fairly disturbing name, it has to be said) near to the Cineteca where you can picnic. The café-bar in the Piazzetta where the Cineteca is very reasonable, and there is also a food market just across the road. The market near the Piazza Maggiore is great also, for shopping and for eating in. Last year I did Bologna as a vegan for the first time! It’s totally possible. There are vegan options in some restaurants, and lots of salads and sandwiches in the supermarkets so you can eat on the run/in the sun. There are a few juice/salad bars dotted around as well. One place in particular I want to recommend: Bar la Margherita has a wide range of tasty vegan food, and is close to the Arlecchino and Jolly cinemas. Handily, the Italian for vegan is simply vegano, and Bologna has a young population thanks to the university, so most places will understand what you are after. When you first arrive in Bologna and your accommodation is sorted, head to the Cineteca Bologna to collect your pass and catalogue. Take care if using Google maps or the like. You want the big orange Cineteca in the Piazzetta Pier Paolo Pasolini, off Via Azzo Gardino, which may be labelled as Cinema Lumière, not the offices on Via Riva di Reno. Once you arrive, you should pop into the library in the main building, collect your pass and a voucher for your catalogue, which you will exchange at reception. You’ll notice the book, DVD and poster fair all set up in the library. Time for that anon. Then you may be rushing off to a screening straight away, but if not, take the catalogue over to the open-air café in the Piazzetta, which offers hot and cold drinks and food throughout the festival (including vegan and gluten-free options) and have an indulgent, leisurely browse. With any luck the catalogue will have been released in PDF form ahead of the festival beginning, so you will have had a chance to read it in advance. I tend to download it to my ipad so I can study it on the plane and then actually carry my tablet around town rather than the book itself – it is far lighter. But the catalogue itself is a beautiful thing. I refer to mine frequently, long after the festival is over. That café is a great place to meet people and also to take a quick breather between screenings. It’s a godsend, quite frankly. If you are planning to attend one of the free open-air screenings in the Piazza Maggiore, arrive early to grab a seat – the seats are all held for festival delegates until a few minutes before the screenings begin. Needless to say, if you want to enjoy the film from a café table around the edge of the Piazza, you need to arrive even earlier to get a prime spot. If you are planning to attend one of the free open-air screenings in Piazzetta Pier Paolo Pasolini (and you do want to go to one of those, as it’s a magical atmosphere, with the carbon-arc projector running), then you really have to reserve a place in advance via email. The address will be in the schedule, next to the listing for the film. You can hang around on the margins, instead, but it’s a restricted view and not quite so enchanting. The other main venues are the two smallish screens at the Cineteca Bologna, the Sala Mastroianni and the Sala Scorsese (they are actually very capacious, but it’s all relative), the aptly named Cinema Jolly at the corner of Via Guglielmo Marconi and Via delle Lame (this tends to show films so good, they are worth braving slightly puny air-con for) and the plusher, cooler Cinema Arlecchino further up Via delle Lame, which is about halfway between the two. The last two are not Cineteca-linked as far as I know, just two comfortable commercial cinemas nearby that can project a variety of formats. The Cinema Modernissimo, an underground picture palace of great grandeur and vast dimensions, is under construction as we speak, but I am fairly sure it won’t be ready for 2018. Strategise. There are several strands and venues. There are masterclasses, panels, lectures and conferences as well as films. You need a plan of attack. The schedule won’t be released until around a week before the festival begins, but I recommend printing it out, and getting to work with a pen and a couple of highlighters. You need to know whether you intend to complete a few strands, or to dip in and out of everything. I tend to mark all the silents in one colour (there are clashes, but only occasionally) and then highlight in another colour all the other most tempting options in between or at the same time. This gives me a kind of map through the programme, so I can make decisions as I go. Micro-strategise – on occasion. There are circumstances in which you may need to get clever, watching one film just so as to secure your seat for the next one, if it promises to be especially popular. It’s rare, but it happens, so keep your ears to the ground. Check the schedule for repeat screenings. These can make some of the impossible clashes slightly less impossible. But it means planning ahead. It is also very enjoyable to see the buzz for a particular film build from one screening to the next. Stick to your instincts. During my first visit to the festival, I became convinced that the catalogue was trying to discourage me. All the films I was intrigued to see had texts that made them sound – less than essential. If you want to see it, for whatever reason, just give it a go. Some of those screenings have stayed with me for a long time, for the best of reasons. Catch a classic. You’ll see a whole host of rare and rarefied material in the programme. This may be your only real chance to see those films. But sometimes there is little more enjoyable than enjoying a taste of the canon in the middle of this carnival of cinephilia. I remember seeing Au Hasard Balthasar and Ugetsu Monogatari for the first time at Bologna and those were wonderful experiences. Also, I have seen films I had watched many times before transformed by the context: a vintage Technicolor print of All that Heaven Allows, a riotous open-air screening of Sherlock, Jr, and on my first night at Ritrovato, seeing Rome, Open City on a huge screen, surrounded by Italians was just incredible. Prepare for the sunshine outside, even if you will just experience it in short bursts between films. So bring sunblock, a hat (though not too large, as it can be nightmare stashing it under your seat in the cinema), something to cover up your shoulders, sunglasses – whatever you need to stay cool and avoid the burn. Prepare for the heat inside the cinemas. They are all air-conditioned, but sometimes the cooling system struggles to keep up with what can be full or almost-full houses of glowing cinephiles from morning ‘til night. It is always a good idea to drink lots of water, but a fan, even a simple paper one, is a Ritrovato essential. I think they were selling branded ones the first time I went, which was a bright idea. Prepare for the rain. It doesn’t rain often in Bologna, but when it does, it seems to pour – so much so that you can get properly drenched in a 10-minute dash between screenings. Bring a brolly and check the forecast. Sometimes the weather will mean the outdoor screenings are cancelled, but that is quite rare, and they will usually be transferred to a cinema instead. I don’t need to tell you to try the gelato when you are in Bologna. It’s a no-brainer. But the gelato stand outside the Cineteca often names its exotic flavours after directors featured in the festival, which is so cute you can’t miss out on it. Fancy a scoop of John M Stahl? Talk (not during the films) to your neighbours. Most people who attend the festival are lovely, in my experience and you are all there for the same reason whether fan, critic, tourist, archivist, historian, producer … to see great movies. Browse the DVD, book and poster fair in the library. There will always be something there to tempt you away from your hard-earned euros, and it’s a good place to bump into friends, also. There is usually some kind of poster or art exhibition in the building too. An excellent option whether you are sheltering from the rain or the sunshine. Go on, just as I advised with Pordenone, try to see one film that scares you every day. Bologna is one of the best places to broaden your cinematic horizons. Finally, do attend the DVD Awards ceremony (12 noon, Thursday 28 June 2018). Yours truly is on the jury so obviously that is a must-see, and will be far more compelling than the rare and precious masterpieces of the seventh art playing elsewhere in town at the same time. Stick to your plan rigidly. Listen to the chat and follow your instincts – no need to see a strand through to the bitter end if it isn’t what you’d hoped for. There is so much else on offer that you may prefer. Spend the whole time in the Sala Mastroanni. Well, you can if you really want to. This is the screening room in the Cineteca where most of the silents are shown, so it can be tempting to just hole up there for the day. And no doubt that way you will spend lots of time with likeminded silent cinephiles. You’ll probably get to see all of Mariann Lewinsky’s legendary 100 Years Ago strand there too, which you don’t want to miss. But while I can handle the idea of going to Bologna and ducking in and out of screenings all day, the thought of spending the week mostly in one black box gives me the heebie-jeebies. Maybe you feel differently. You do you. Heretic that I am, I reckon the odd talkie never hurt anyone. Feel too wretched about leaving one film early to get to another or to go to a meeting, if you really, really have to. People do it. And it can be done without causing too much of a disruption. You may get muttered at in Italian (or one of several other languages) but you’ll survive. Forget to take a break, and see the city. You should always have plenty of time to eat (Italians have a very healthy respect for mealbreaks), but Bologna is gorgeous so do take a stroll outside the Unofficial Ritrovato Zone when you can. You’re spending time in one of the oldest and most spectacular cities in the world, which is real privilege. I remember an early morning amble down to the old university (the oldest in the world!) as one of the highlights of my 2016 Ritrovato – even though I had a sprained ankle at the time. Learn some. Not just the basics of checking into a hotel and ordering an espresso, but also the Italian for the days of the week – it makes navigating the schedule a thousand times simpler. Monday = lunedi, Tuesday = martedì, Wednesday = mercoledì, Thursday = gioverdi, Friday = venerdì. And try to pick some cinematic terms, such as subtitles (sottotitoli) and screening (proiezione). * Apologies, this is a truly terrible pun. My reports elsewhere from the festival for Little White Lies in 2017, the Guardian in 2016 and 2015 as well. Last year’s Ritrovato Roundtable podcast. My report from the 2013 Ritrovato on this site. Great article Pam. We’ll be there for the fifth year this year and can’t wait. It’s the highlight of the summer for us. One think to point out is that several of the screenings are repeated so need to panic if you come across a clash in the schedule. Thanks, and yes that is an excellent point. I hope you don’t mind if I add it in? Great piece as ever…..may I make a suggestion ??? Italian restaurant dinners are normally leisurely affairs, so if you are dining to a deadline, eg to get that seat at the Piazza Maggiore, a good idea to let the waiting staff know before you order…..they will expedite it for you or warn you that you are being overambitious…..
All suggestions welcome, especially from such a Bologna veteran and sage. Your way is much better than a) fretting over dinner b) settling for a sandwich! Brilliant, and much needed! We will send to friends considering coming this year or next. Thanks!! I should add the very best gelato in town, in our humble opinions, is to be found at Sorbetteria Castiglione. A bit of a hike from the Lumière, but everyone we’ve taken there over the years has found it out of this world, especially the ciocolato. For hotels, if you like air conditioning, try the Hotel Roma. it’s also right off the Piazza Maggiore so it’s a very short walk after the evening film. Bring light clothes for hot weather and it’s very important to have good walking shoes. You’ll be doing a LOT of walking to get to films. The Mercato delle Erbe on 23 Ugo Bassi (one of the major avenues) is an amazing indoor food market if you want to pick up fresh vegetables, fruits, cheese, fish, etc. It’s also a good place to pick up a cheap meal. Thank you! All excellent tips. But plus-one for the limoncello! Delicious. Great list, Pam! Can’t believe that you didn’t mention The Celtic Druid as crucial congregation point though, haha. Also – I’m going to be in Bologna this year! I’m so excited. And in fact, I’ll be in London the week before (staying with Grazia), we should definitely all do dinner together while I’m in the neighbourhood! Cool, I’ll flick u an email at some stage. And I forgot to mention – thanks for the vegan tips, too! Great article! I’ve gone to Cinema Ritrovato several times and all your tips seem to me right on the spot. Also, congratulations for the site. I’ve arrived here googling about CR 2018 but I love everything about it. Cutting and keeping fro my first trip in just three weeks!! Thank you for the great overview! I’m planning to visit the festival in 2019 and was searching for a beginner’s guide 🙂 To get it straight: If I buy the festival pass for the whole week I won’t need to get tickets for each single screening? But since there are always a limited number of places, you have to come early for a screening, right? Thank you for reading! No need to buy tickets for individual screenings (except putting your name down for the silent carbon arc screenings in the small square). Good idea to arrive early. Sometimes it is essential – sometimes it really isn’t!